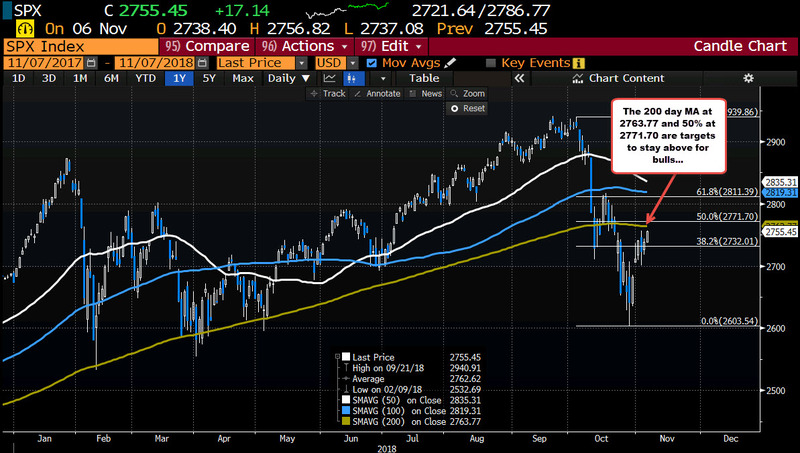 For your guide, the S&P will look to open above the 200 day MA at 2763.77 (green line in the chart below). The price closed at 2755.45. The S&P futures are implying a gain of 19 points. Also in play will be the 50% of the move down at 2771.70. Both may be broken on the open. If the price corrects after the opening, traders will be eyeing the levels as support. Stay above bulls are taking back more control. Be aware.